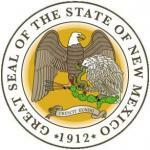 The full extent of New Mexico’s budget crisis came into sharp focus Wednesday as state economists described an 8-percent plunge in revenues during the fiscal year that ended in June and warned state lawmakers of a looming budget deficit during the current year. Revenue projections for the current fiscal year show a $326 million general fund budget deficit if changes are not made. The state expects to collect $5.7 billion in recurring revenues during the current budget year to help meet its original $6.2 billion spending commitment. Gov. Martinez steadfastly opposes any tax increases and appears unlikely to consider suggestions that the state halt a gradual reduction of corporate income tax rates. On Wednesday, lawmakers questioned two cabinet secretaries about other ways to limit spending cuts and raise revenues by closing tax loopholes or doing away with state-backed incentives and credits. Lawmakers openly fretted that the projected budget shortfalls may affect the state’s credit rating and raise borrowing costs. New Mexico is one of several states dealing with general fund revenue declines linked to falling oil and natural gas prices. Where some states have tapped rainy day funds or raised taxes, New Mexico so far has drawn down operating reserves, swept cash from idle accounts and given agencies more latitude to shift funding among programs.